Now that Pokémon Go's swept the nation into a frenzied dash to Catch 'em All™, it's less a question of "Are you playing Pokémon?" and more, "Holy crap, where did you find a Scyther?" If that weren't enough, the recent confirmation that legendary Pokémon like Zapdos and Articuno are hidden somewhere in the game has given people even more reason to walk blindly into traffic/graveyards. Unfortunately, there's really no easy way of figuring out where the rarer Pokémon will spawn in the game, short of compiling a list with every known sighting thus far -- which is exactly what one NYC Facebook group has done. 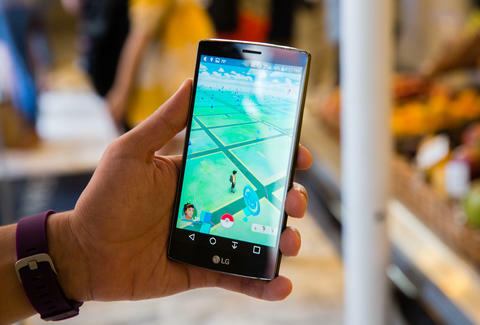 By crowdsourcing information on rare Pokémon sightings from its members, Pokemon Go NYC has compiled a database of firsthand accounts including location, borough, and time of day. Of course, since they're crowdsourced, these sightings range from the helpfully specific (90th & 5th) to the woefully broad (Upper East Side). Still, it's something, and if you're dead-set on finding Mewtwo in the wild, this might just be your best chance to do so. We've highlighted a handful of the more notable Pokémon below, and included Google Maps links for each individual location. Check out the full list of Pokémon locations, and fill out the Pokémon locations Google Form if you've spotted any of the above rare breeds -- or anything that's not a Zubat, really. Try a few Pokémon Go hacks while you're at it, or give this new Pokémon Go real-time map a try. Gianni Jaccoma is an editor at Thrillist. He once saw an Aerodactyl in Astoria, but his app froze because God is dead. Follow his wild hunt on Twitter @gjaccoma.